DENVER (AP) — Denver police are planning to destroy a motorcycle that was seized after a massive rally that closed part of Interstate 25. Hundreds of motorcyclists rode through Denver on July 24 as part of a rally to call attention to biker safety and awareness. Bikers were seen popping wheelies and doing burnouts in the middle of the highway, ultimately shutting I-25 down. Denver Police seized a 2007 Honda after the protest through the civil public nuisance abatement process. Police announced they will destroy the bike Thursday. 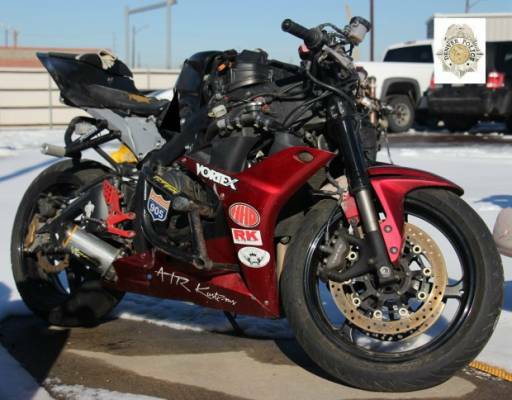 The owner of the bike that will be destroyed faces charges for speed exhibition and reckless driving. He is awaiting a jury trial.